Welcome to the Christ Lutheran Church website. We hope this site is helpful to you in learning about us and our witness to Jesus. Our church is nestled within the vineyards and rolling hills of east-central Missouri. The scenic and historic town of Augusta lies immediately to our south. The waters of the Missouri River flow just beyond the town. 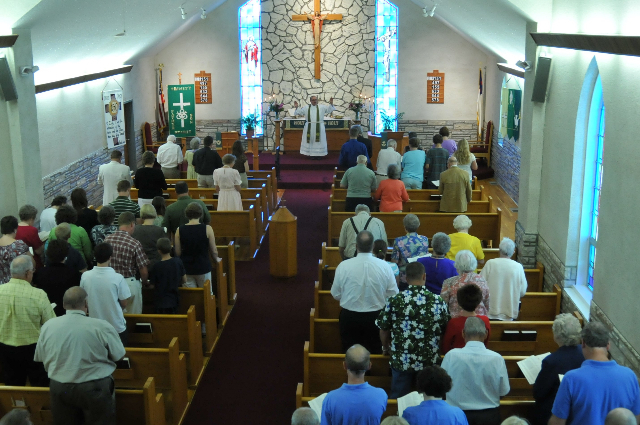 Our congregation was established over 150 years ago in the Christ-centered Scriptural teachings of our rich Lutheran heritage. Our members love to welcome visitors. We look forward to hosting an annual Sausage Dinner each Fall, dating back over 60 years, where we can welcome back old friends and get acquainted with new ones. Above all, we are about Christ here at Christ Lutheran Church. We invite you to join us for worship and see for yourself. Go to the About us section in the tabs at the top to learn about our beliefs, our history, and our pastor.